VMworld Europe 2017 - VMware emphasises independence from parent company, but hails ‘incredibly powerful’ relationship. 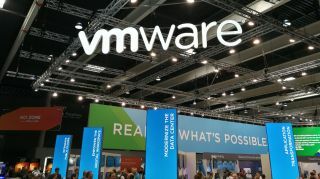 VMware has emphasised its strength and independence almost a year since its parent company was acquired. Speaking at the VMworld Europe 2017 event in Barcelona, VMware COO Sanjay Poonen noted that the relationship between the firm and parent company Dell EMC was benefitting both parties equally. "We will take advantage of the Dell ecosystem where we can, but we won't be tethered to it,” he told attendees at the event. VMware parent company EMC was acquired by Dell last year, with some commentators worried about what the merger would mean for the software firm, which now falls under the Dell Technologies arm. However today’s keynote showed company chiefs keen to stress that the firm remains strongly independent but also work closely with both Dell and EMC. Speaking alongside Poonen in an executive Q&A, VMware CEO Pat Gelsinger looked to address questions over how independent the company would be by assuring customers that the relationship between the firms was mutually beneficial. Noting that the relationship between the firm and its parent company could be summed up with three words - independent, ecosystem, and acceleration, Gelsinger concluded that the future looks bright for both firms. "We were an independent company, and we remain an independent company,” he told attendees, “as Michael Dell said, what's good for VMware is good for Dell Technologies"
"We will continue to have a vibrant, diverse ecosystem...the purpose of having independence is that we can both go forward and thrive in the industry." Gelsinger’s view was echoed by CTO Ray O’Farrell, who described the partnership between the companies as “incredibly powerful”. "The biggest thing I'm seeing with this partnership is the ability to act independent and work with the ecosystem when we need to do that."